454 pages | 158 B/W Illus. "It is exciting to see this current volume edited by Alan Sams because it clearly fills the need for a modern and comprehensive work. It is authored by qualified scientists in their respective areas of expertise. 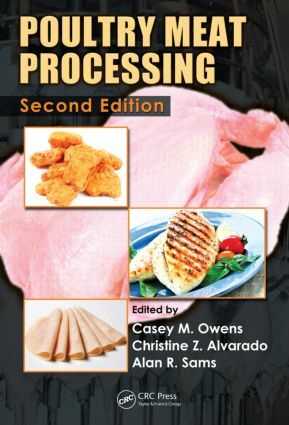 …This book is both current and readily applicable as a college text and is well referenced such that it is an excellent resource book for advanced study and as a reference manual for the poultry industry." "This book is a contribution that will be well accepted by the meat and poultry industry. It will surely supply valuable information for use… as a reference and textbook. Those that contributed to this publication are… authorities whose information is authentic and highly regarded."